The Nike Air Huarache features a leather or suede thermoplastic exoskeleton, neoprene Dynamic Fit sleeve, phylon foam midsole, and rubber outsole with modified Waffle pattern. You can slip these bad boys on with ease, while also picking your choice of many popular colors to match your gear. 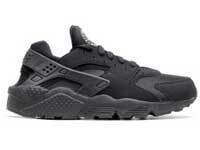 The Huarache is one of the most popular street and lifestyle sneakers Nike has, breaking sales record in 2016. 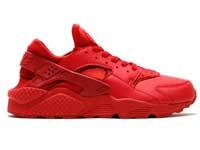 The Nike Air Huarache is a 1991 Nike sneaker designed by Tinker Hatfield that features a neoprene sock-liner. It was designed to be a stylish running shoe, however, it turned out to not be the most comfortable shoe to run in. 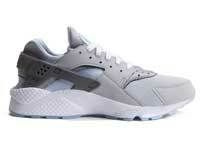 As a result, the Air Huarache has morphed into more of a lifestyle sneaker.